E-Cruiser Bikes is bringing the E-Cruiser brand and the Diavelo/Protanium bikes to the US and Canada. Make sure you checkout the Diavelo Au2Bahn 28 mph pedal assist e-bike , the Protanium Shaft Drive e-bike, and E-X Cruiser! The Specialized Turbo electric bike is now available in the US. 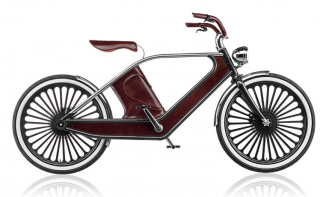 Checkout this high end e-bike! Cytronex has launched a 35 pound (16Kg) electric bicycle for $2,100 (£1,345). It’s called the Cytronex Power Assisted Charge Grater . It features a 360W front hub motor. The stated range is 20 miles with the Cytronex water bottle battery. Here is the full review of the eFlow E3 Nitro with the battery located in the seatpost! Have you seen the electric recumbent trikes made by a Outrider USA (formerly FFR Trikes)? If not, you should check out these high-performance e-trikes. They are fast and to prove that they won the Pikes Peak electric bike race with an average speed of over 30 mph! Okay this isn’t really an electric bicycle but I want to mention it anyway. It is called the EMX and it has a lot of bicycle components but it doesn’t have a bicycle drivetrain. It is somewhere between an electric mountain bike and an electric motorcycle. Here is the new electric bike trailer from Cycloboost. It is a single wheel trailer that can handle some off-road riding and it ranges in power from 250 watts to 1000 watts. 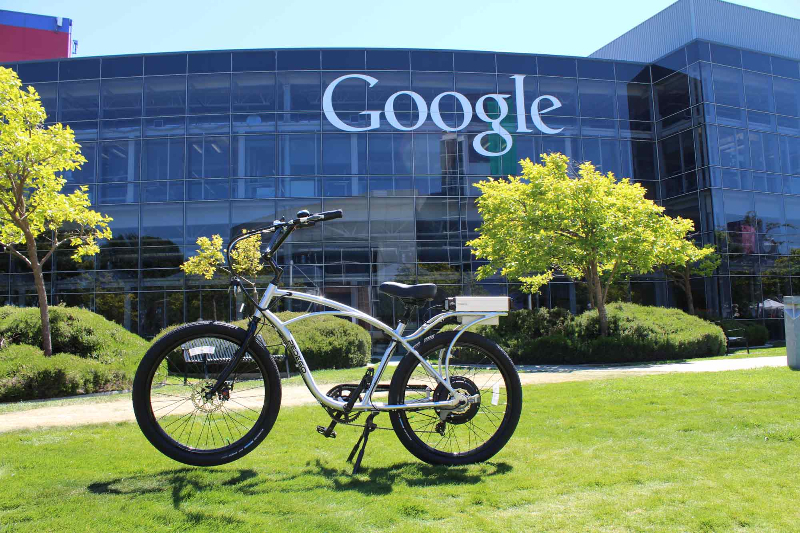 Pedego Electric Bikes was recently at the Google campus showing off their bikes to Google employees. 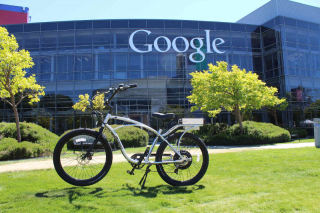 Google is in the process of creating electric vehicle subsidy programs, in addition to encouraging employees to walk or bike to work. DC Electro from Albuquerque New Mexico just received $150,000 in funding for development of their e-bikes. Find out more about the DC Electro bikes. Electric bikes in New York City may soon be banned. Find out more about this unfortunate news here. E-bikes in Toronto are also having trouble fitting into the traditional city infrastructure. Time for some fun; Electric bike polo! You really should check out the videos! The North Shore Electric Bikeway is a new e-bike sharing program in Vancouver BC. They are using the innovative bike sharing technology from viaCycle. Here is a review of the Ibera PB9 Smartphone Case with 3 different mount options. Will Electric Bicycles Get Americans to Start Pedaling? An interesting article about e-bikes published on a Yale University blog. This is great news! Car sales down, bike sales up: Two new bikes are sold for every car in Europe. Some police officers in the UK are riding e-bikes! Danville Community College (VA) is now offering e-bike technician courses. Any ebike over $1500 is too expensive for middle class people. Prodeco is the only ebike company that seems to get that. I agree with you Norm or it could be a 1930’s retro looking bike. I love the fact that Google is looking to subsidize electric vehicles. Obviously, they can afford to do things like this, but it would be nice if more companies would do the same thing. If I got that retro bike I’d have to get a guard dog to go with it (for security reasons) or I just wouldn’t feel right leaving it parked anywhere here in Portland.